This book was just ok for me. 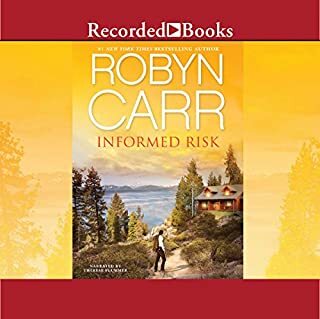 I guess it just focused too much on guys hunting and then a big snow storm rather than the hot passionate romance I expect from Robyn Carr. The romance starts to develop about half way through the book and there is not much conflict to keep the story interesting. It does have a nice christmas theme and the ending was very sweet so I recommend it as a nice christmas listen. Narration: I love Therese Plummer as a narrator. I'd probably listen to a dictionary if she were to narrate it. She has the ability to make distinct voices for each character as if there were more than one narrator. She did an excellent job with this story! Let me start by saying I adore the Virgin River series...but this one was lacking. The main story happened all too quickly, and everything about that relationship seemed so one note. I loved re-visiting all the other characters, Jack, Mel, Preacher, and Paige...those parts of the book were fabulous...but Denny and Becca's relationship lacked emotion for me. Regardless...it won't stop me from getting the next book in this series...I love that town, and the people that live there! 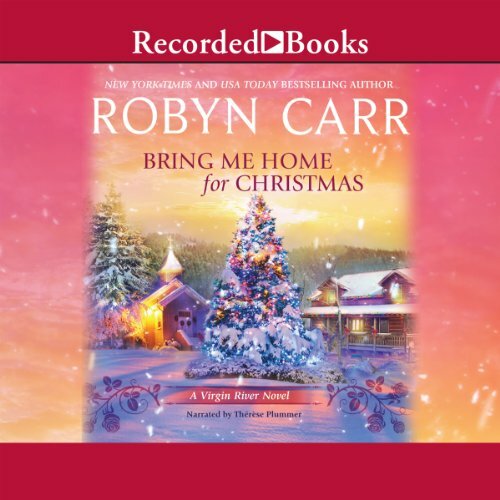 Would you consider the audio edition of Bring Me Home For Christmas to be better than the print version? 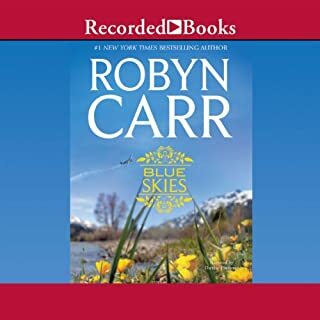 I Love all of Robin Carr's books and keep them close to listen to over and over. They tell a story of a large family individually and as a group and I feel like I know them all. I cry for the sorrow in their lives and speak to them for the occasional bad behavior. I am their best cheer leader. I love the fact that the good guys wear white hats and you always can get involved in whatever story she sets out to tell. 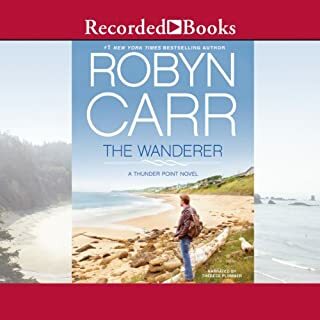 The reader is delightful and entertaining and I love listening to her as much as I love the story. Great listening for me. Her audible books take the place of TV for me. 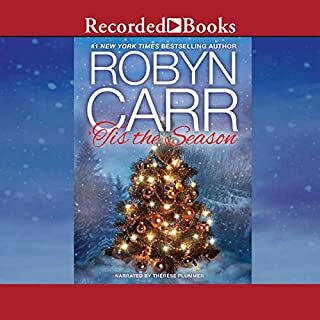 Where does Bring Me Home For Christmas rank among all the audiobooks you’ve listened to so far? no, but I was touched by the benevolence of the characters toward the impoverished folks. I've read some of the less than positive reviews and I have to say that they do hold some truth but.... I just finished grading final papers--it was a joy to close the grade book and listen to Therese Plummer's voice taking me back to Virgin River. Wonderful Christmas Present! Merry Christmas to All! What made the experience of listening to Bring Me Home For Christmas the most enjoyable? The story is interesting, humorous and stirs the emotions. I could relate to the likable heroine. She had a lot of guts and personality. What other book might you compare Bring Me Home For Christmas to and why? 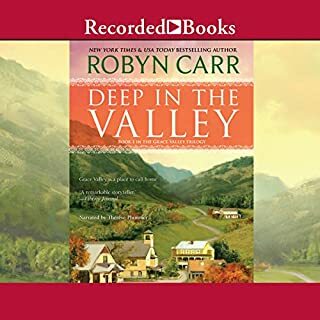 Other books in the Virgin River series. They share the setting of a small town in the mountains, Redwood forests and caring people with values we admire. What about Therese Plummer?? ?s performance did you like? She one of the best. Flawless storytelling, great voice. Who was the most memorable character of Bring Me Home For Christmas and why? Jack is such a charming, likeable person. I loved how he looks out for the townspeople. All the Virgin River books are good, but this one is a favourite. I worried about the ending until the last minute. 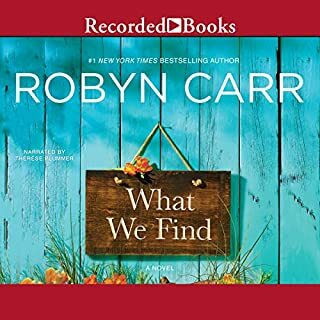 Robyn Carr is unbeatable. This was a sweet Christmas read. Very predictable, but one of those books that I like to read once or twice a year. Before she gets engaged, Becca, the main character, needs to find out if she is ready to take this step in her life. At this time of year, this type of book is always enjoyable, and Robin Carr is expert in her delivery. What did you love best about Bring Me Home For Christmas? Revisiting established characters during the holidays. Denny's real story was with Jack. The romance for Denny and Becca seems uninspired. It was a good book and interesting story about a separated couple whom eventually made it back together...It was probably like a true to life story and I had to finish reading it... but I cant say I could recommend it to my friends because they are Christians and there were two sexual scenes in it that described things a little to much. It made me a little red faced...Ha ha!! As I said I liked the story line it kept me wondering what was going to happen next. It was very well narrated!!!!!!! Easy to understand. I really look for books that anyone can read without being offended. It would be nice if they could rate the books on language and sexually explicit parts. This book wasn't real bad but if I had of known I probably wouldn't have bought it. I love the Virgin River Series! I loved this story and I've never been disappointed. I love the VRS but this story seemed to be more of the same in regards to showing the town's folk to be the all encompassing heroes in helping! However, whilst we all like the characters such as Jack, et al, this was a boring story with no substance other than an excuse to tick the box to fill the space required for a teacher! you can skip this book and not lose out as a result. The narrator is, as usual, very good. I have enjoyed each and every book.